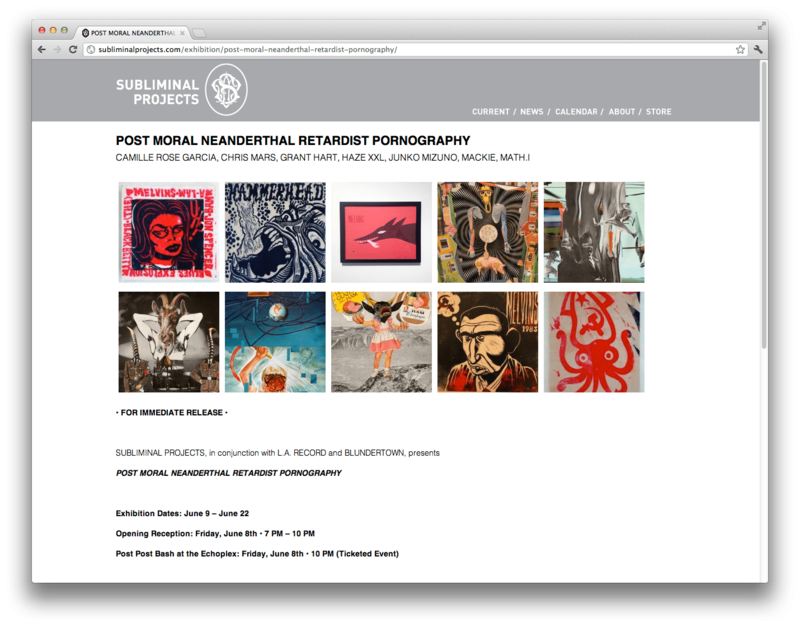 I had wanted to do the Subliminal Projects website ever since I started working here. It was using a custom built backend and front end that was really hard to work with. 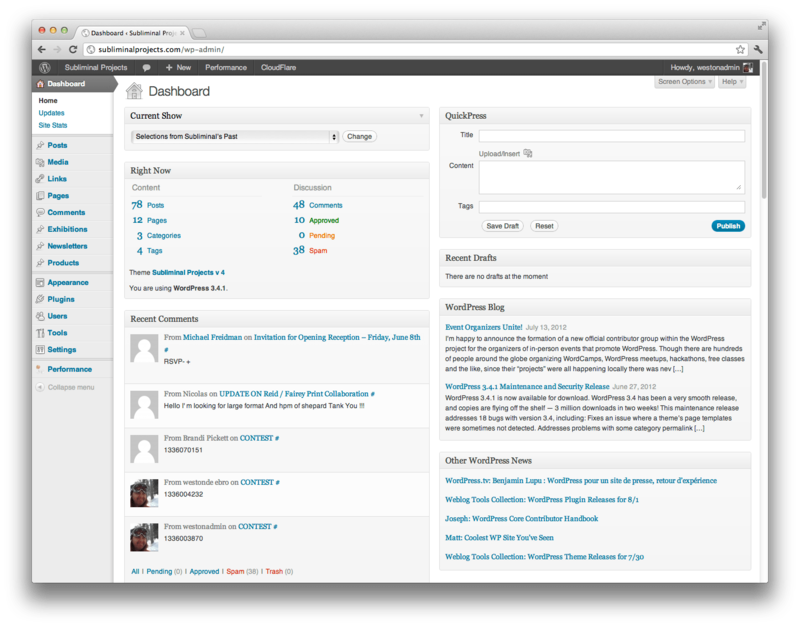 And after everyone’s experience here with WordPress they had asked that it be built on WordPress. I wanted to make it easy and expand on itself. I had always want to do a gallery website since there is so many possibilities to do with it. As you will see in my explanation of how it is built, how it is run, and etc. The homepage is very simple, If there is a current/upcoming show it will show the exhibition details and then the user can click on it to find out more about said exhibition. If there is no exhibition, it shows the blog. In the backend there is a drop down of events and a none option as you will see below. I tried to keep the backend very simple and easy to understand, I didn’t want to make too many things for people to click. It is very straightforward. The featured image acts as the event flyer image, which gets shown on the front page, the calendar page, and the single page. 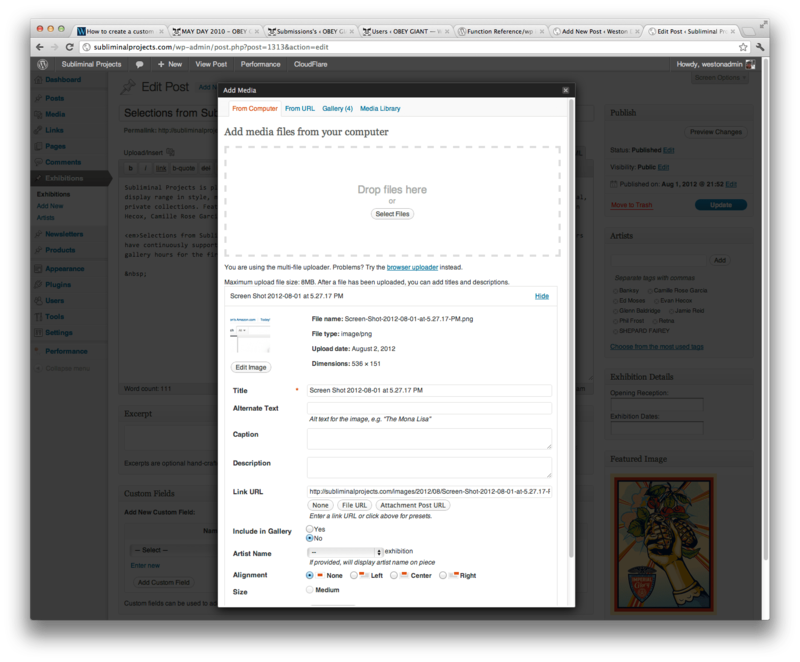 Every image uploaded gets resized to its correct size for being displayed in every page. The artist taxonomy is the second most important on there. When the artists gets populated it gets populated into the media upload area also. 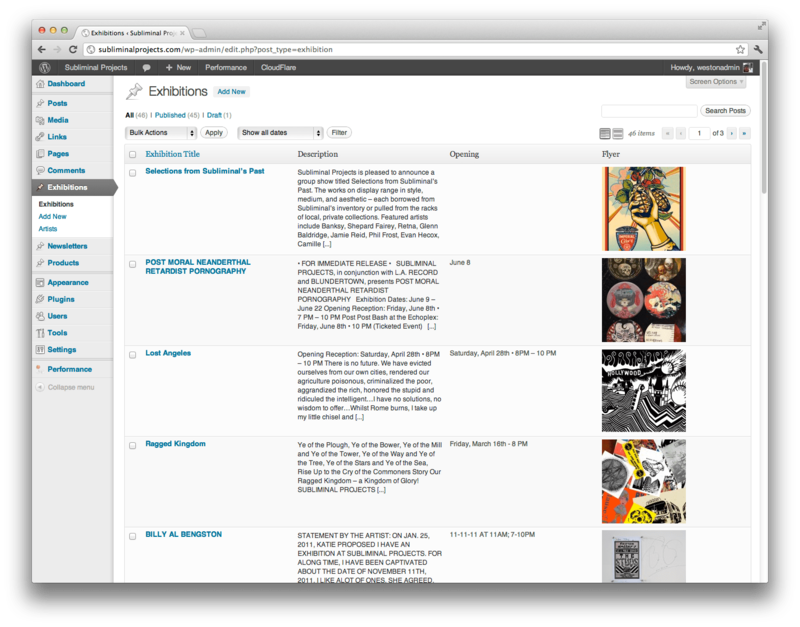 The media upload screen I added a drop down, which gets populated by the artist taxonomy for the current exhibition. If there is only one artist in the exhibition, it will automatically select that artist. So the file uploaded will get the custom taxonomy attached to it also. This is done by using attachment_fields_to_edit, and attachment_fields_to_save. There is a radio select field for include in gallery. If you click on yes, it will include the image in the gallery whichs shows up on the exhibition page. This is an exhibition page without any “gallery” images attached to it. And this is an exhibition page with “gallery” images attached to it. Each image is clickable which then shows all the images in the gallery. And each image has its own attachement page. With artist name shown and which exhibition it was from and any more information that was added when uploaded. 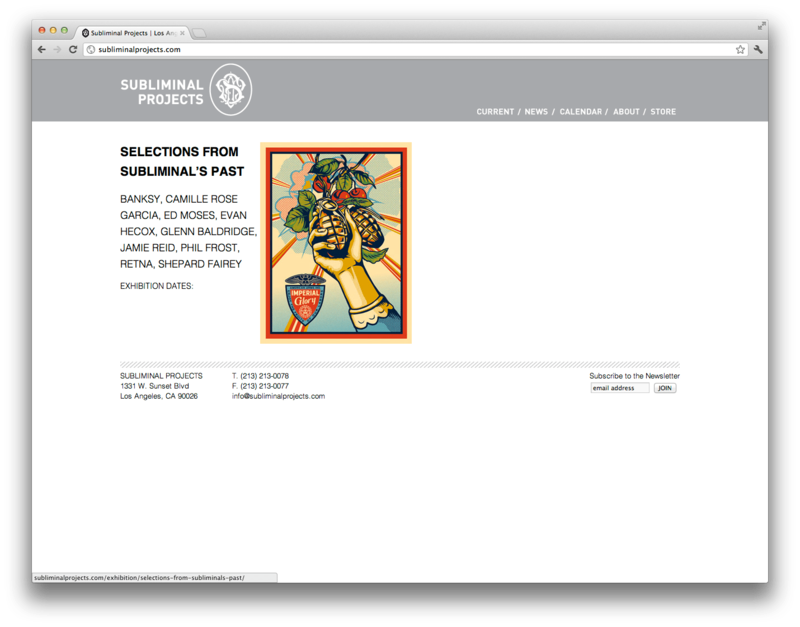 Everywhere the artist name is, is clickable, So you can fine out more information about the artist, if it isn’t displayed on the exhibition page. 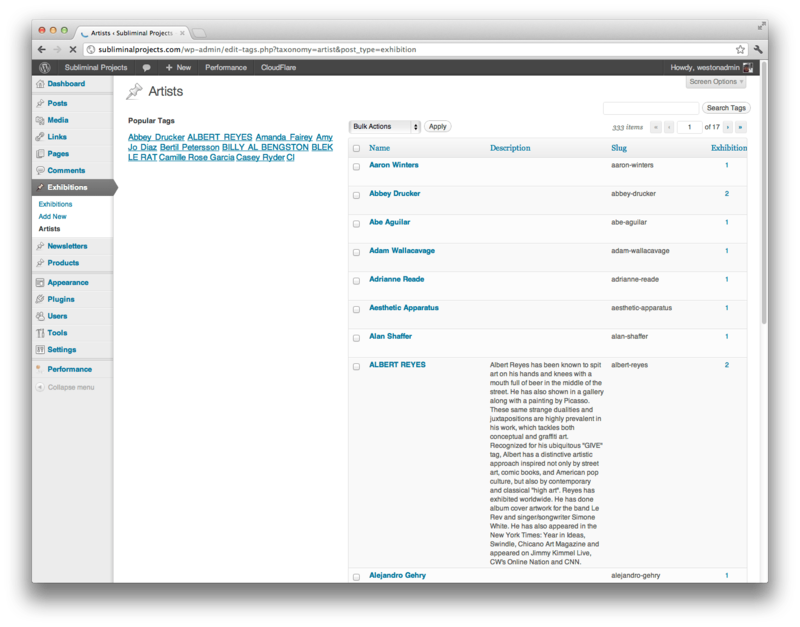 This is an example of an artist’s page. It shows a brief description of the artist, which is a custom taxonomy. It shows the exhibition, and or exhibitions that they have been involved with. And if there is artwork associated with the taxonomy it will display the last 10. This is the list of the artist taxonomy, so you can see how the description of the artist is put in. It looks awful, but it gets the job done. I have been busy lately and haven’t been able to add artists descriptions as of late, but when they are in they are in. 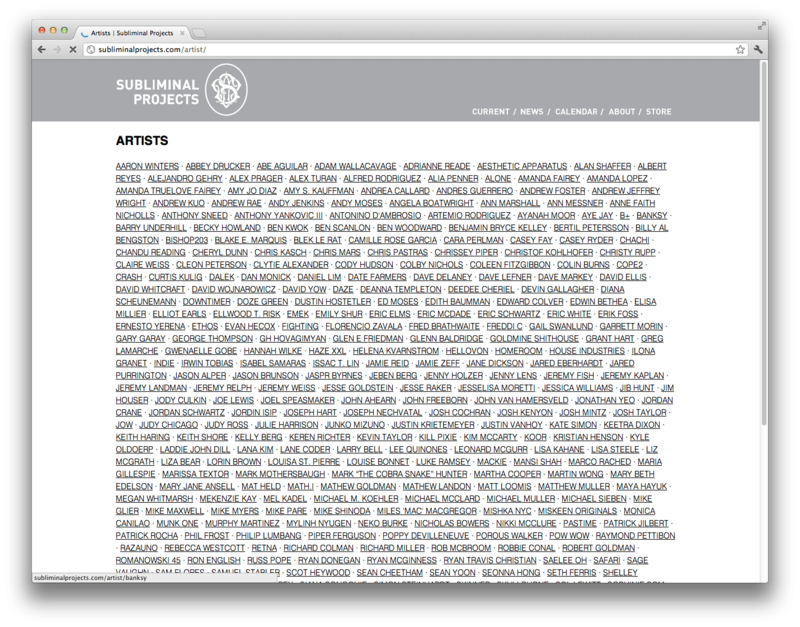 This is all of the artists that have ever shown in the gallery. Which links to there artist profile page. This page isn’t linked to anywhere on the site, it is only for google link baiting. 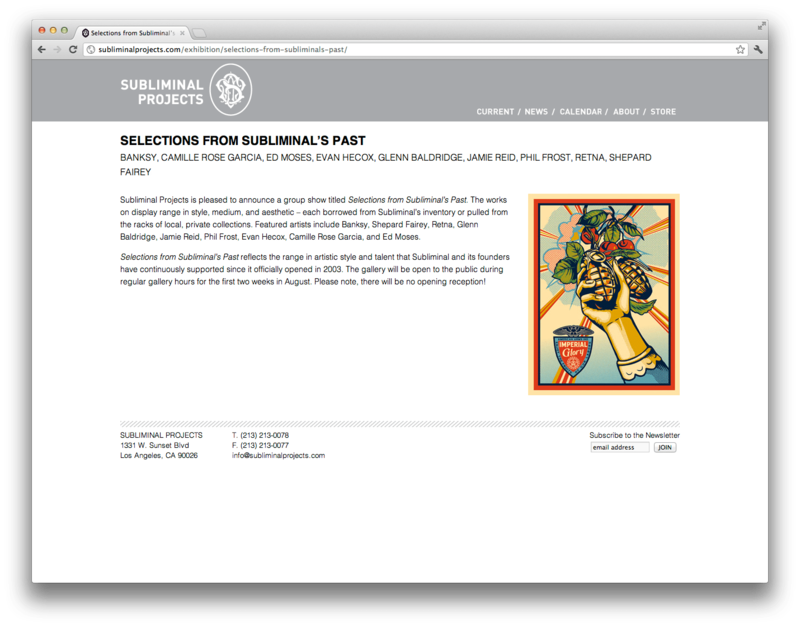 And I have always wanted the gallery to have a page that shows every artist who has shown at the gallery. 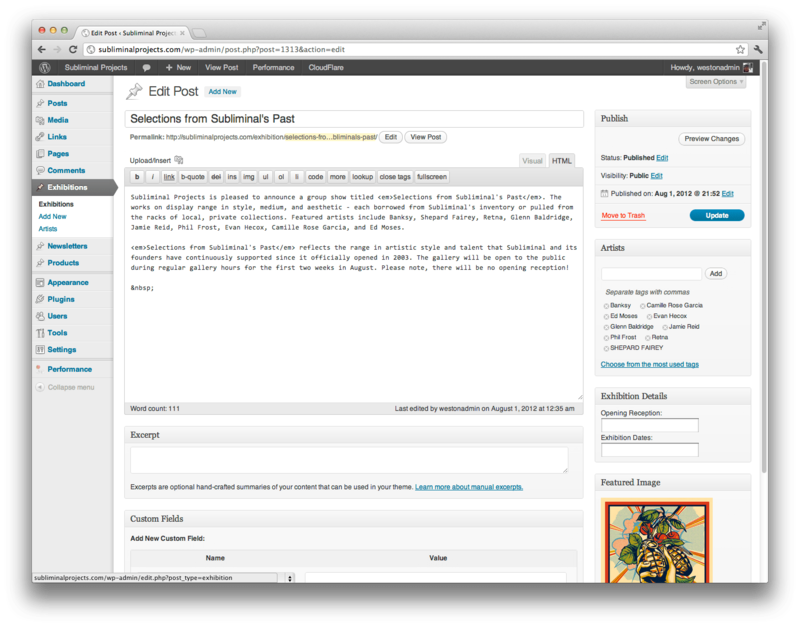 This is the backend of the exhibition post type. If the user doesn’t know the name of the show they can go by the flyer usually. This is what the calendar page looks like. We haven’t had that many shows, So I decided to just list every show that we have ever done. It shows upcoming/current/past in one page, to make it simple to view. Thats my logged in view, so thats why you see the edit link. I am currently working on the store. I am building an integration with stripe. I am making my own store not because I think I can do a better job than anyone else, I just have a lot of friends who need a very specific store that others can’t give. So I am going to use the store here and branch it out to other clients and friends. Artists need a pretty specific and simple store to do there business, they don’t need some advanced behemoth. 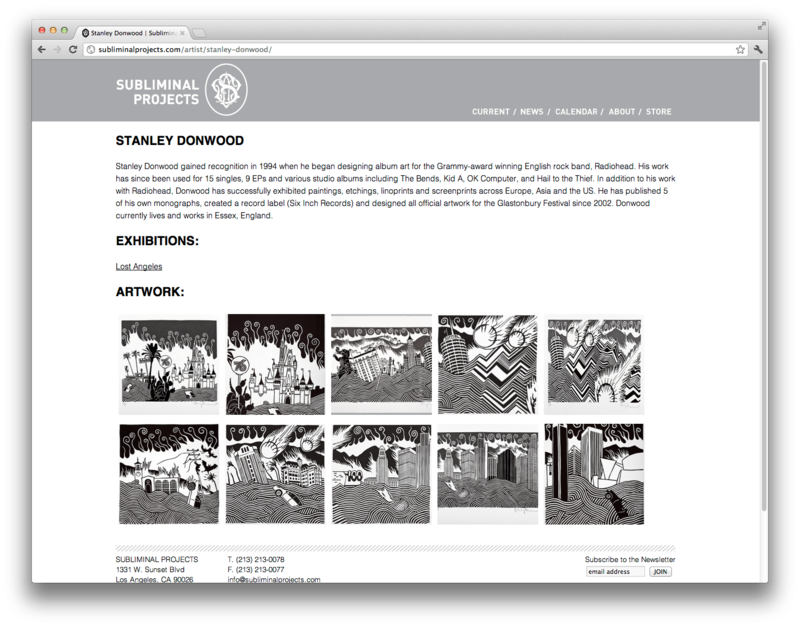 I would like deeper integration with the store, its its own entity right now, and I wish it was involved with the exhibition and artists profile pages. The store is the most visited part of the website and that is where people dead end. Things I would like to change, I would like to add more emphasis on the current show and upcoming shows. It doesn’t highlight that very well, and I would like that to change. There are a few dead ends that I would like to change, but overall I think it does well of telling a story.